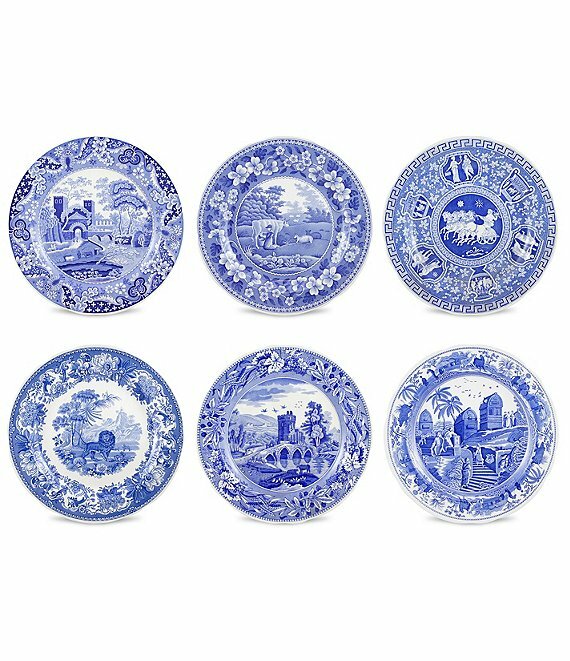 These country-inspired china plates from Spode feature ornate blue artwork of traditional scenes. Set of 6. Approx. 10.5" each. Dishwasher and microwave safe. Imported.